What’s Tom Colicchio’s Big News? 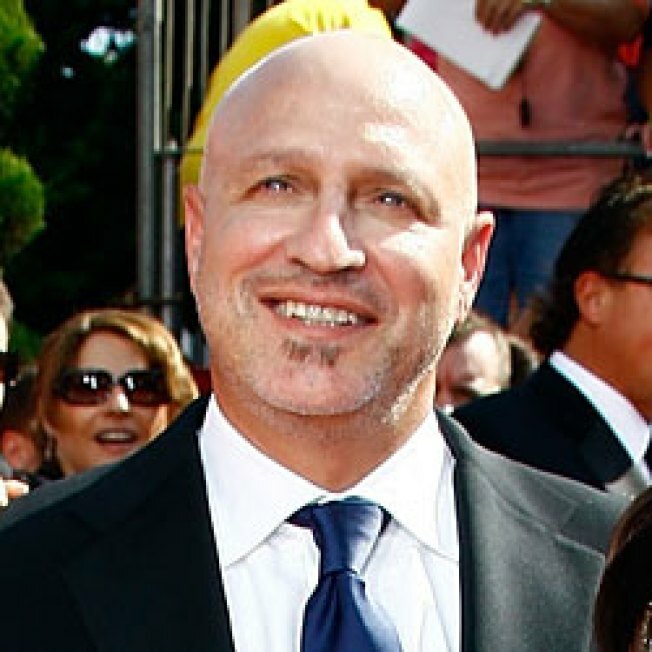 Colicchio at the Emmy Awards. Tom Colicchio slinging hash? Well, kinda. The Craft emperor and Top Chef judge is holding court at a media breakfast on September 30, where he will "share news on some upcoming projects." Camp Colicchio is keeping mum till next week, but we have an idea of what it might be. As Grub Street reported earlier this summer, Colicchio was mulling the launch of a restaurant in New York "where I'm doing the cooking, not just the supervising. I want to do something small." Perhaps an austere, Momofuku-style restaurant would fit the bill? We heartily encourage it, especially if the stools there are sized for human beings.